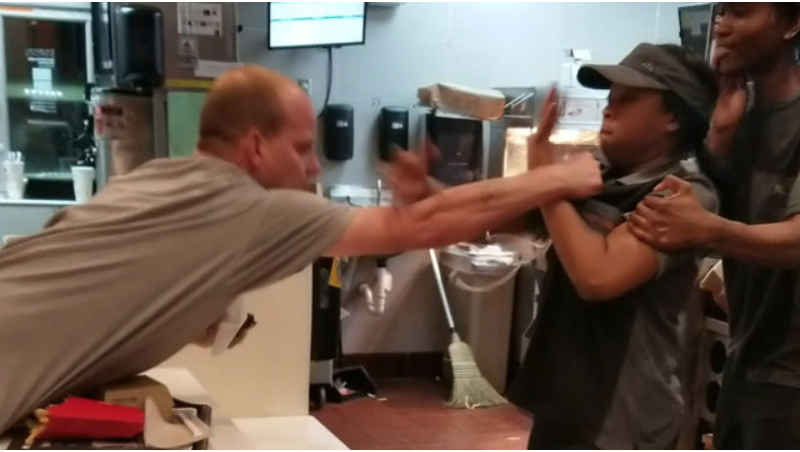 Low wage employees at McDonald’s are assaulted far too often. Just since the beginning of 2019, there have been cases of customers physically abusing McDonald’s workers. For example, a cashier in St. Petersburg was grabbed by a customer who was enraged that he did not receive a plastic straw. In a viral video, we can see that she physically defended herself by punching him in the face. In South Carolina, a man threw hot coffee on a 16-year-old worker because his french fry order was taking too long. The worker suffered from third degree burns. Enough is enough. McDonald’s employees should not have to face physical threats at work. This issue has since sparked protests for more employee protections and calls for more training to combat violence in the workplace, as more and more workers come forward with stories of physical abuse. Why Do These Altercations Happen? Some of the people who have attacked McDonald’s workers were allegedly under the influence of drugs and/or alcohol. The influence of these substances may have caused these attackers to be more violent. Another issue is that people tend to look down on fast food workers who earn minimum wage. However, these employees are simply putting in an honest day’s work and should be treated with a basic level of respect and decency. Furthermore, many McDonald’s employees are young workers who are attempting to save money for their futures. Just last year, McDonald’s tripled its college tuition benefits for employees. These hardworking employees deserve much better treatment from the public. The man who grabbed the cashier in St. Petersburg was subsequently arrested. Police are still trying to identify the suspect who threw hot coffee on a worker in South Carolina. A McDonald's spokesman told the Tampa Bay Times that McDonald’s is "reviewing how we respond to such incidents going forward," adding that it "will always stand with our people and remain committed to their safety and well-being." Prosecuting attackers and even security personnel in McDonald’s may be solutions to this dangerous issue. How do you think we could prevent McDonald’s workers from being attacked? Should people be punished by having to eat cold fish sandwiches from McDonald's for every meal? Should customers who attack workers be made to work for McDonald’s at minimum wage and have to deal with customers who throw coffee and fits over French fries? If you have suffered from a physical altercation in the workplace, seek legal assistance today. The Law Office of Christopher Q. Davis, located in New York City, can assist you. Contact us today at (646) 430-7930 to schedule a free case evaluation and receive experienced legal counsel.